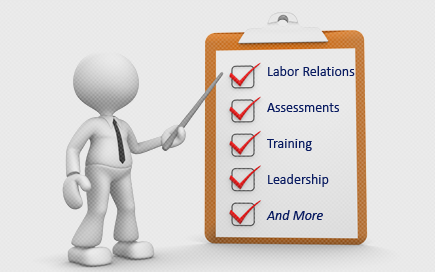 Labor Relations News Update February 24, 2014 | Oliver Bell, Inc. Starting Monday, a federal judge in Waco will hear arguments from the Sierra Club that Luminant Generation Company, the state’s largest electric generator, has been spewing far more pollution into the air from an East Texas coal plant than is allowed by federal and state law. The case is one of at least three high-profile lawsuits that are being heard in federal court this year in which environmental groups in Texas have taken matters into their own hands. They are suing industries for excess pollution directly, rather than relying on the government to take action. And although such “citizen suits” have been permitted since the beginning of environmental regulation in the United States decades ago, they could become more common as agencies like the Environmental Protection Agency are increasingly scrutinized by politicians and the industry, and they continue to suffer from budget cuts. In Texas, frustration from environmental groups stems from what they say is inaction on the federal and state level. Luke Metzger, director of Environment Texas, said the group decided to sue ExxonMobil after “years and years” of asking the Texas Commission on Environmental Quality to take action. “Going through the courts is our best option. It’s kind of our last option,” Mr. Metzger said. The trial for that case began in Houston this month and is continuing. More transparency from the state has also made a difference. While Mr. Metzger’s group says that ExxonMobil’s Baytown complex has over-polluted for decades, a lawsuit against the company became more feasible after the Texas agency began posting emissions reports on its website a few years ago, he said. Luminant declined to comment for this article, and an ExxonMobil spokesman said the company has invested more than $1.3 billion in environmental upgrades at its Baytown facilities since 2000. According to court filings, neither company disputed the data on emissions that was presented in the lawsuits — after all, it comes from their own reports to the state — but the companies vehemently denied that they were violating the law. Both argued that such emissions breaches were allowed during what are called maintenance, start-up and shutdown events. The companies said they had done everything necessary under federal and state law to minimize breaches, which they said were unavoidable. Such an argument, which is known as affirmative defense, is commonly used to avoid penalties for excessive emissions. But after decades of broadly allowing the use of such an argument, the E.P.A. has proposed eliminating the opportunity for industries to use it during “planned” start-up and shutdown operations. They would only be able to use that argument for “unplanned” periods of malfunction. The idea has prompted outrage from companies like Luminant, which say they would be forced to spend tens of millions of dollars on pollution control equipment, which is notoriously difficult to keep operating while also starting up or shutting down a facility. Environmentalists are not happy either, in part because states can get around the change by imposing higher emissions thresholds for such events. The E.P.A. has postponed making a final decision on the proposal until June, and is almost sure to be challenged in court, no matter what it decides. Both Luminant and environmental groups have already sued the E.P.A. for imposing similar changes just to Texas law. While a federal judge rejected both plaintiffs’ arguments last year, and the Supreme Court declined to hear an appeal, the agency is now considering making sweeping changes in dozens of other states. The heads of Texas’ utility regulatory and environmental agencies have said in public comments that the proposal does not take into account its possible effect on the reliability of the state’s electric grid. In the meantime, citizen suits challenging exceptions to pollution limitations are likely to continue — and both plaintiffs and defendants may be more aggressive. While the vast majority of citizen groups reach a settlement before reaching the bench, that is not the case with any of the three lawsuits that federal judges are to hear in Texas in the coming months. All are going to trial. In recent years, Chevron Phillips and Shell have agreed to settle, rather than go to trial, after environmental groups in Texas filed citizen suits against them for pollution violations. Al Armendariz, a former E.P.A. official who now works for the Sierra Club, said he hopes ExxonMobil and Luminant decide to do the same. Thirty years ago, customers paid more for the salmon, shrimp and other seafood dishes they ordered at New York City restaurants because the Mafia controlled the truckers union that made deliveries to the Fulton Fish Market, according to law-enforcement officials and court records. Fish spoils quickly, so the Mafia allegedly extorted payments from officials who ran the market by threatening delivery delays. In turn, fish-market officials demanded payoffs from restaurants, which passed that cost onto its patrons, law-enforcement officials said. That started changing in the 1980s under then Manhattan U.S. Attorney Rudolph Giuliani, Mr. Jacobs said. In 1986, for example, federal prosecutors in Mr. Giuliani’s office gained convictions against the leadership of all five families on accusations that the Mafia’s control of concrete labor unions enabled them to demand a 2% kickback on concrete used in new building projects in New York City over $2 million. A case brought by federal prosecutors in Brooklyn in 1990 alleged that the five families used a corrupt union to fix bids in exchange for receiving tens of millions of dollars in kickbacks on a $150 million contract to replace windows in New York City Housing Authority buildings. Two high-ranking members and one soldier were convicted in that trial and five people were acquitted. Still, Mr. Jacobs and other experts said that while the Mafia’s hold on unions today has weakened, the Mafia’s influence isn’t totally lost. Mr. Jacobs said there are still cases in which government-installed monitors are “trying to rehabilitate formerly mobbed-up unions” as well as new labor-racketeering prosecutions being brought against organized-crime members. After the prosecutions “some unions were definitely cleaned up, other unions weren’t completely clean and other unions…were cleaned up but have been infiltrated again,” said Richard Frankel, special agent in charge of the Criminal Division for the Federal Bureau of Investigation’s New York office. A law-enforcement official said Luchese and Genovese remain the most active of the five crime families when it comes to infiltrating and exploiting unions.